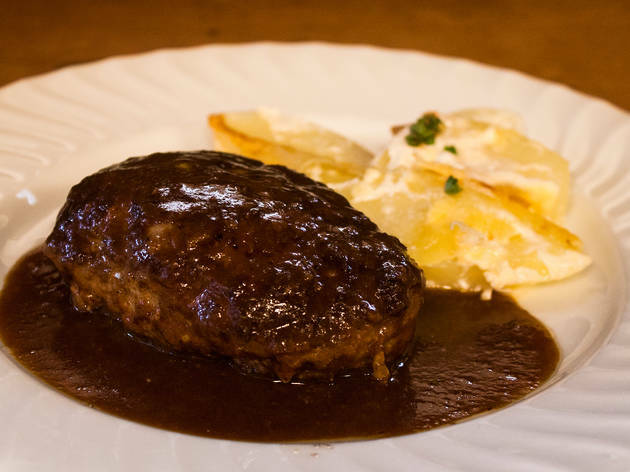 The most popular lunch set menu here consists of a crab cream croquette and a burger made from top quality Japanese beef and pork blended at a ratio of 3:1. 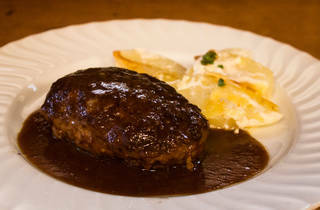 The flavour of the juicy patty is enhanced by a demi-glace sauce. This dish will set you back ¥1,100.